This entry is just to record that we are having the most appallingly weather this winter. Us Brits (especially me) like to spend our winters complaining about how the weather is miserable, but this year really is something else. The people of the south west of England have been the worst affected by floods and storms: villages in the Somerset levels have been completely cut off by floods that cover thousands of acres; many people have been flooded out of their homes. The main rail line to Cornwall has been severed at Dawlish. The floods have spread widely over the whole of southern England. 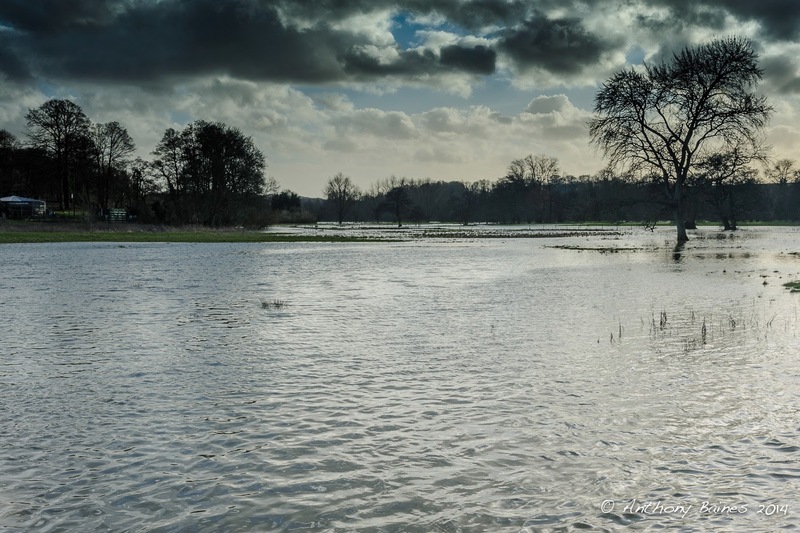 Here in East Kent, we’ve been less badly affected, but the Elham valley, and in particular the villages of Bridge and Patrixbourne have been dreadfully affected with flood water simply rising up through the ground. I have a regular walk that passes though some playing fields. 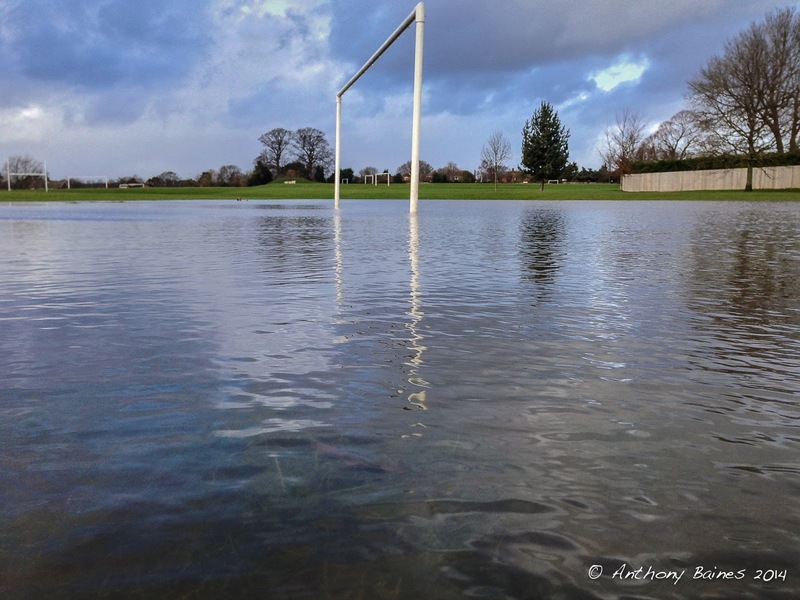 We're nowhere near the worst affected areas, but even so, the two pictures above (taken on my phone) illustrate the flooding of a local football pitch. Nothing in comparison to the experience of many (and you can see that the nearby houses are perfectly safe), but I don’t remember this kind of flooding of these pitches before. One more from this afternoon. This was the view over the valley of the Great Stour near Chilham. The Great Stour belies its name, and it is little more than a stream at this point. 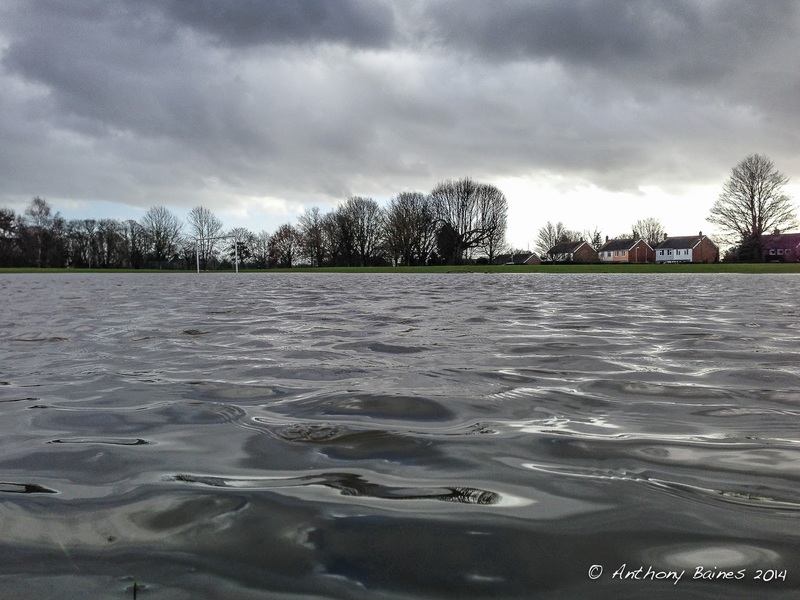 But the fields are now entirely flooded. Some flooding happens every year, but this really is more than I can remember.